Lower commodity prices, weaker demand, environmental regulations, lower ore grades, and higher running costs are some of the main challenges that the mining industry has to deal with every day. But now is a good time, while activities are off-peak, to adopt sustainable cost control measures beyond the traditional and generate data that will improve productivity and process stability. 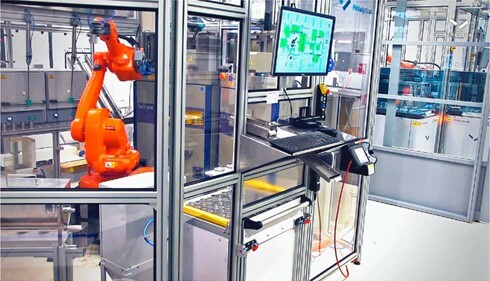 Reducing C1 cash costs and increasing revenues can be accomplished with the extensive use of automation and robots in the field and in the laboratory, to gain in productivity and remain competitive(1). Case in point, in 2015 Rio Tinto announced they could save $200m a year using robots and Big Data(2). Rio Tinto is not alone following this path. Almost all mining majors, in a quest to sit at the right end of the cash cost curve, are currently exploring the new opportunities that automation can offer. Let’s take a closer look at one of these key factors: the cost of human error. From one moment to another, there is operator induced bias and at the same moment, there is bias from one operator to another(3-4). The graphs below illustrate the comparison between operator and robot. Manual is on the right, while automated analysis is on the left. These graphs represent the classification of an ore. A false negative is when an ore is classified as waste. A false positive is when waste is classified as an ore. The horizontal axis shows the first value obtained and the vertical shows the replicate value. Red lines crossing is what the result should be (certified). As you can see, improper ore qualification occurs much less frequently when automated techniques are in place. This is mainly due to the systematic approach, better sample preparation and the strict observance of a standard operating procedure with automation. 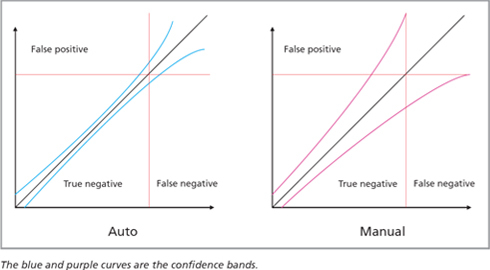 The higher preponderance of false positives and false negatives from human error directly impact the yield and quality, and thus profitability. You can read more about the key factors to consider when exploring automation for the mining industry. (1) “Uranium miner joins Big Data revolution”. Richard Roberts, 04 March 2015. Mining Journal. (2) “Rio saves $200m a year using robots, big data”. Frik Els | Sep. 10, 2015. Mining.com.